Another special one-time only lowercase L photo op here, found in front of the Key Foods market on 7th Ave in Brooklyn around midnight. 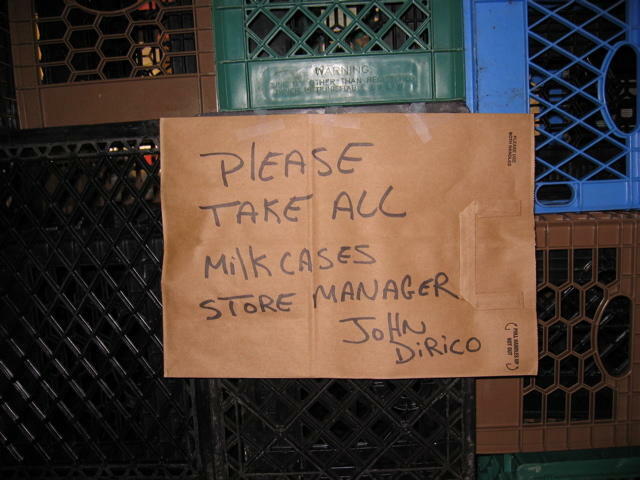 The manager asks that we "PlEASE TAKE ALL Milk CASES", while displaying an interesting mix of upper and lowercase L's, as well as a lowercase "i" (which always diminishes the overall impact of the lowercase L). But the word PlEASE on its own is just fine. John did pen his lowercase L taller than the other uppercase letters in the word, so at least he tried conforming to societal norms. 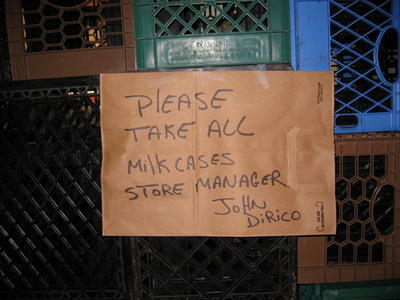 But in the end, Mr. DiRico's psychosis shone through. I am still searching for the perfect example. It is a quest I have embraced with all of my being. I am taking a 1-year sabbatical from work to do this.